Re: "Iran Says EU Offer Like 'Candy for Gold'"
I suspect Ahmadinejad is right on much of the substance, but I want a world where candy, which you can eat and which many children like, is worth more than gold, which national "leaders" and others kill for. 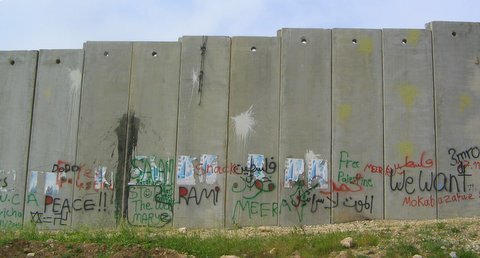 Here are some more pix from Jeruslam and Ramallah over the last few days. Today was also the second anniversary of Mordechai Vanunu being released from prison. He revealed Israeli's nuclear capacity and suffered in Israeli prisons for it for over 18 years, most of it in solitary confinement. Daniel Ellsberg has called him the "prophet of the nuclear age." 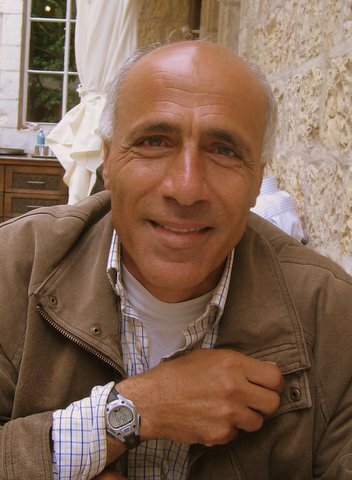 Vanunu is still under a series of travel and speech restrictions by the Israeli government. He can't leave the land Israel claims as its own; and he is violating Israeli dictates by meeting with non-Israelis like myself. On his web page, he calls for "a congressperson or senator, to support and stand firm and bold with me, in Jerusalem, demanding my freedom and criticising Isreal's nuclear weapons, one who will come here for a press conference, and then take me with them to the U.S." People might want to give their "representatives" a call, if that they are; and even if not. I met with Vanunu in the afternoon, but if you look at his watch, you'll note it's set to the morning. For several years, he's had his watch set to New York time. A hungry soul finds a sliver of freedom where ever possible. It's orthodox "Good Friday" and I always wondered why it was called that. And here, it's not. 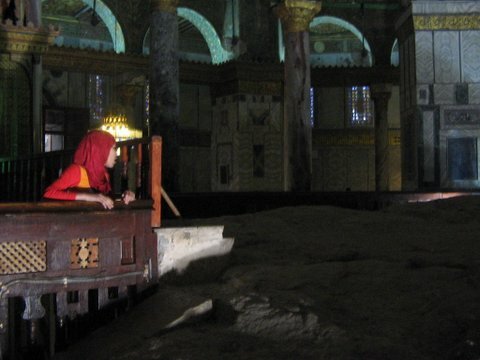 The Arabic-speaking locals where Jesus was crucified call it "Sad Friday." 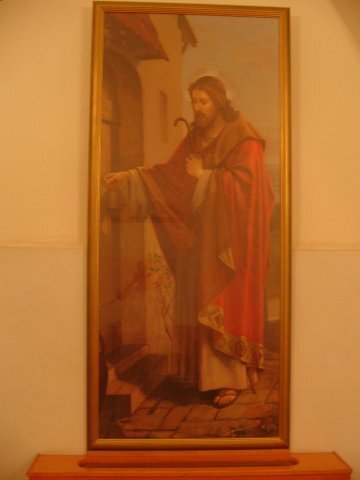 Still, even here, Jesus is pictured as a European and does not have facial features resembling people from the region. 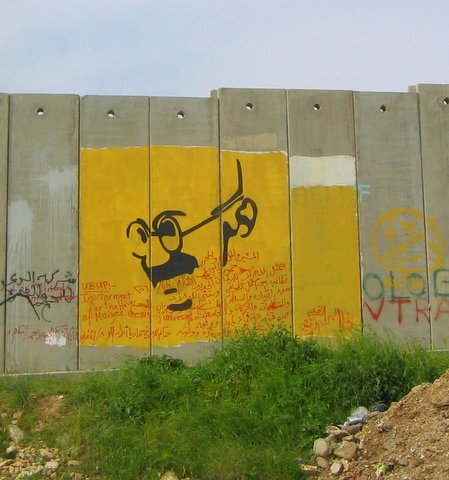 On the way from Ramallah to Jerusalem, one passes the Kalandia checkpoint, where art has sprung up on the wall Israel is building through Palestinian territory, helping to decimate Palestinian life. Gandhi was fond of saying that he was a Muslim and Hindu and a Jew and a Christian. 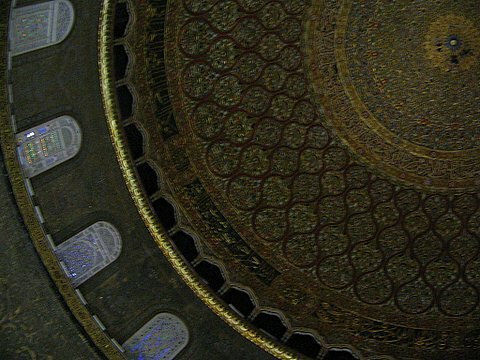 That might have had an effect on me when I went to enter the grounds of the Dome of the Rock where both the Muslim guardians and Israeli soldiers asked me if I was a Muslim. I indicated I was. The Muslims were rather accepting; the Israeli soldiers less so; it was on their prompting that I said "There is no god but God and Muhammad is His prophet," which I think technically makes me a Muslim and for that I have the Israeli military -- and Gandhi -- to thank. 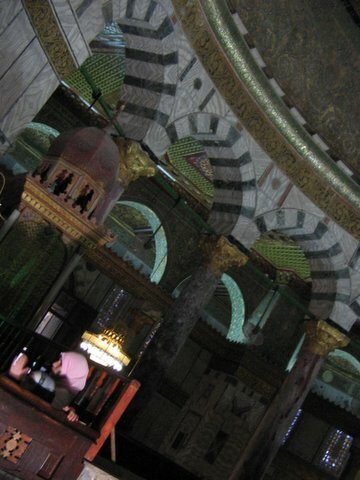 One Israeli soldier was quite disbelieving of my claim as I was leaving the grounds of the Dome of the Rock. 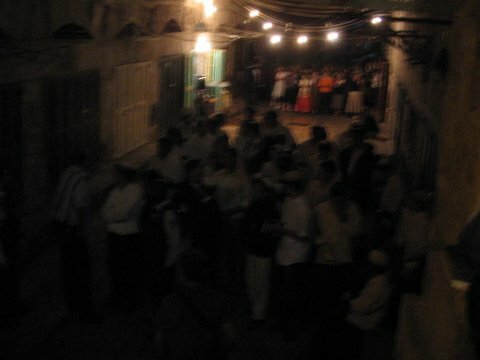 In the midst of his interrogating me, a large group of Jews who seemed intent on praying on the ground of the Dome of the Rock appeared; the Israeli soldiers stopped them and -- after they were permitted to sing for quite a while -- they were shoved back. I've heard of right-wing Jewish groups who are intent on doing away with the mosque on the presumed hope that they will find a temple beneath it, but this group seemed act as thought they thought the mosque was theirs. 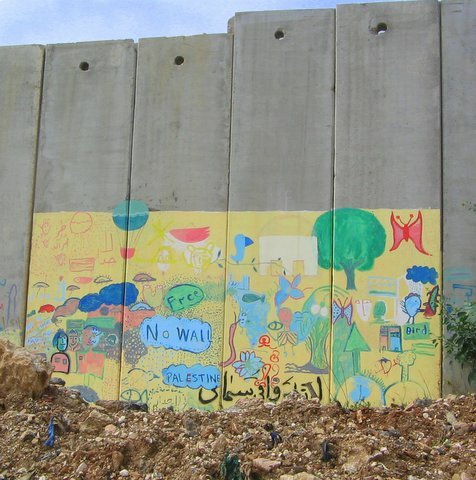 I'm in Ramallah and am filled with thoughts. Here is a simple one: Upon traveling from Amman to Ramallah yesterday, had a long hassle with Israeli authorities at Allenby Bridge; I had to fill out their form if I wanted to enter. 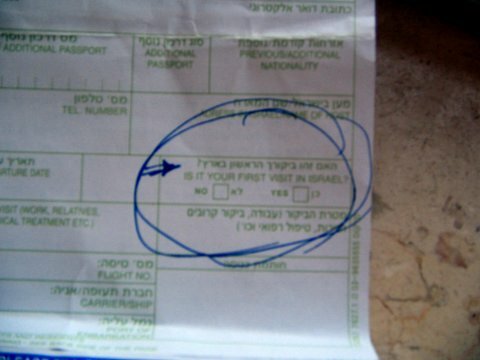 It "asks": "IS IT YOUR FIRST VISIT IN ISRAEL." I responded "Yes" since I have been inside Israel in the past and wanted to get past the border military personnel; but I was going from the Allenby Bridge, near Jericho, to Ramallah. 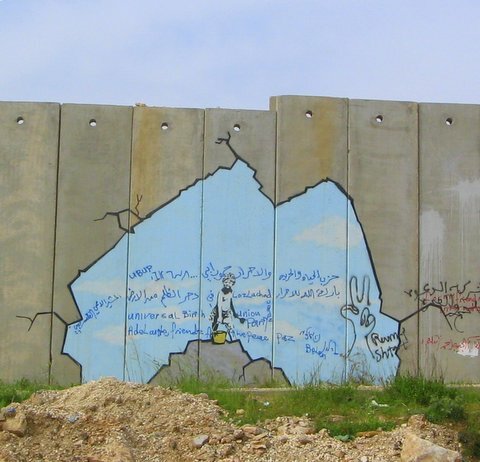 I am not going "in Israel." 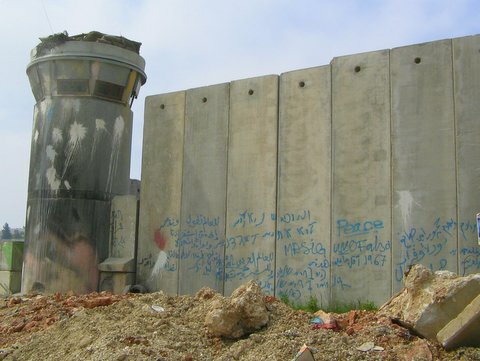 Which begs the question: What does Israel have to do with this; why are they controlling the border? End the Myth of "Preemption"
The Bush administration has just released their National Security Strategy document which re-affirms the U.S. policy of so-called "preemption." The document actually states that "no country should ever use preemption as a pretext for aggression." But that is exactly what the Bush administration did. Claiming that an action is "preemptive" presumes that there's something to preempt. Of course, there were no Iraqi WMDs. There was no imminent attack. There was nothing to preempt. But the use by many, not only in the Bush administration, but also alleged critics of it, of such a term assists in the war plans. James Bamford titled his book "A Pretext for War," which is a rather good term. A "pretext war" is waged on alleged motives which have no relation to the actual motives for war. Some use the term "preventive" war rather than "preemptive" war, since one might argue that the U.S. is out to prevent the emergence of something that might one day be a threat. But this too is dubious given the circumstances. What we are talking about with the U.S. government in Iraq is exactly what the Bush administration is trying to deny: aggressive war. With Iran or Syria we are talking about the threat of the use of aggressive war. The Nuremberg Tribunal, when prosecuting Nazi war criminals called the waging of aggressive war "essentially an evil thing ... to initiate a war of aggression ... is not only an international crime; it is the supreme international crime differing only from other war crimes in that it contains within itself the accumulated evil of the whole." I raised this issue of the term "preemptive" with some "anti-war leaders" before the war -- and got dazed looks in return. Three years after the invasion of Iraq, with all the rationales for war debunked, many alleged critics of Bush are still referring to the war as "preemptive." The administration understands the terms and how to twist them to suit its purposes. Those who claim to oppose those purposes should understand the terms and use them properly if they really want positive change. This is an aggressive war. This movie, much lauded by U.S. liberals, which purports to explain the dynamics of the contemporary Mideast, makes no mention of Israel. Bush seems to recognize profiling -- when the alleged victim has $1 billion in their pocket. "Security hawks" find flaws with "government secrecy." "Free traders" go domestic. God willing, all the hypocrites will be reduced to the dust bin of history; but preserved there in intricate detail. Three years ago, on February 15, 2003, shortly before the invasion of Iraq, there were quasi-global peace protests. The streets of New York City, London, Rome, Madrid, Johannesburg, Hong Kong and many other places were filled with people protesting against the then-impending invasion of Iraq. It's a shame that those protests didn't happen earlier -- imagine if they happened before Congress gave its dubious "authorization" for war in October 2002, for example. It's conceivable at least that Bush would have had a harder time launching the invasion. In the last few weeks we have seen very different quasi-global protests in various Arab and Muslim countries sparked by the insulting depictions of Muhammad. I don't think the two events are un-related. The "peace movement" in the U.S. has not meaningfully reached out to the rest of the world, most notably people in Arab and Muslim countries -- even as it criticizes Bush for his "unilateralism". Where are the regular global protests? Where are the global sister cities projects? Where are the internet chat rooms where people can cross cultures and learn about others' perspectives and organize for a more just world? Why has the peace movement not built these structures? I suspect that it is because building a new just world from the ground up would first, require alot of work that goes beyond rhetorical denunciations of Bush; but it would also open the door to what I said: a new just world. That is, the global inequalities which currently exist would have to be addressed and ultimately eliminated. However much they are opposed to Bush, many in the U.S. I think must feel threatened by such a possibility. Working with others requires working with people raised in other cultures; that can be enrolling, it can also be uncomfortable and threatening. So there are no global protests every month expressing solidarity and demanding justice. Instead, there are protests of the sort we are now seeing: a wounded and insulted people lashing out in an unproductive fashion. So, we need to pick our protests. If people in places of privilege who say they want change really want to establish methods by which we can all interact with mutual respect and justice; then we need to have the courage to change and build a global peace and justice movement from the ground up. If we don't really want that, we'll do nothing substantial; gripe at Bush (and pro-war Dems for that matter) and then watch as other protests develop and gradually engulf the world. Pick your protests. Pick your world. Husseini wrote the article "Follow the Policy: Why So Long for Iraq to Comply?" shortly before the invasion of Iraq. The piece purported to explain why Iraq hadn't complied with the United Nations disarmament demands. It ignored the possibility that Iraq had actually complied. This was the case even though Husseini in other instances had questioned the U.S. government claim that Iraq had not complied. It felt good, but I of course reserve the right to respond to these allegations.